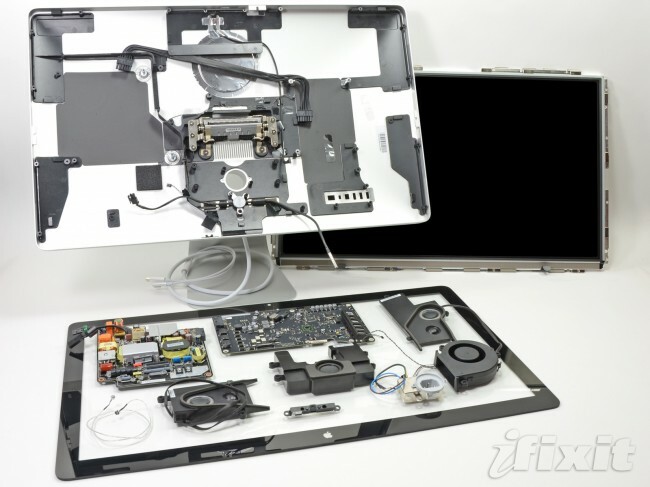 iFixit has taken apart one of the new Apple Thunderbolt displays. This particular model is the 27 inch, 2560 x 1440 screen. The screen was relatively easy to open and once inside, it contained a surprise amount of chips allowing to speedily connect up via the Thunderbolt Port. The panel used inside is identical to the one used in the 2009 27 inch iMac. If you are curious as to why you can’t connect up a display port device after a Thunderbolt device then check out the review at Anandtech which covers all the technical details of the configuration. The full teardown instructions can be found on the iFixit site which also lists the step by step process of how to open the unit.